PRIME TIME presents theme songs from a dozen of the most popular television shows at the close of the last millennium set for an octet of stellar jazz soloists. 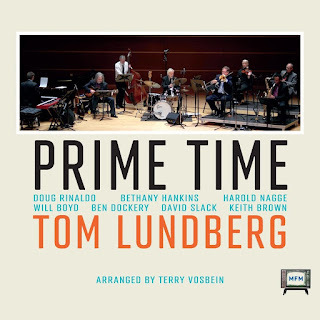 Trombonist Tom Lundberg's improvisatory skills are well-known on previous Max Frank Music recordings, as well as on discs with the Knoxville Jazz Orchestra. This marks his debut as a leader. The instrumentation sets this recording apart, as it incorporates a four-piece rhythm section, two saxophones and a violin, all in support of the solo trombone voice. The rhythm players are equally adept on acoustic and electric instruments, and the groove never subsides. Clever arrangements by Terry Vosbein allow plenty of room for pure jazz playing, cast in a setting of interesting colors and rhythms, while never losing sight of the original material. 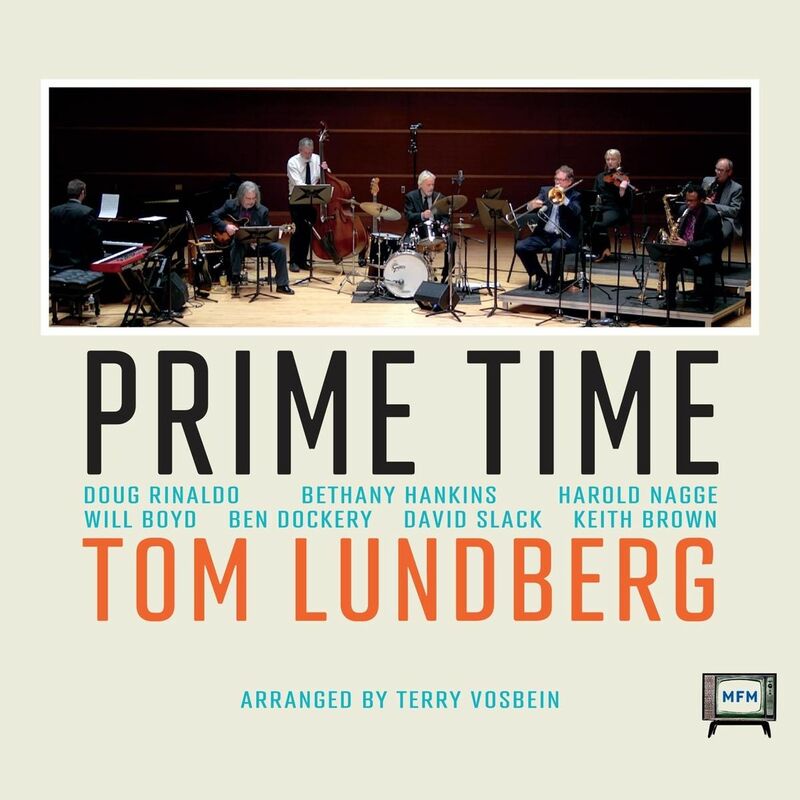 PRIME TIME has something for jazz fans, television buffs, and music lovers in general.